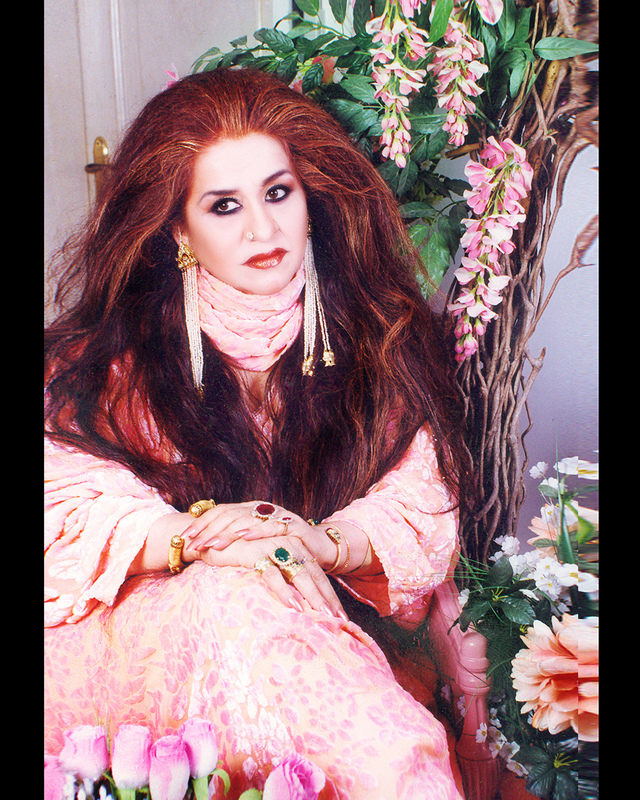 A household name in India and with growing popularity in the UK, businesswoman and cosmetologist Shahnaz Husain, is the founder, chairperson & managing director of The Shahnaz Husain Group. She has been to the Harvard Business School to speak on her success story of establishing an international brand without commercial advertising and has also become a Harvard Case Study which is included in its curriculum. She has lectured to students at the MIT, Oxford University and also the London School of Economics. In 2006, she was awarded the prestigious Padma Shri by the Government of India and she has also walked on the red carpet at the Cannes film festival. Having had the chance to speak to her about the international success of her Herbal beauty franchise, Asian Voice was allowed an insight into the motivating forces behind this ever-growing venture. AV: How does it feel to have a biopic being made on your life? Would you still like to see Priyanka Chopra playing you? SH: I believe that such a biopic would inspire other women to follow their dreams with faith and courage. Nearly five decades ago, when I started my first salon, women were just stepping out of their homes into the business world. I had to surmount economic and social hurdles, but I did not give up. When the New York-based Success Magazine made me the first recipient of the “World’s Greatest Woman Entrepreneur Award”, they commended me for having made “something out of nothing”. This is true, because I started small, by opening my first herbal salon on the veranda of my own home in New Delhi. I feel that a biopic made on my life would show my relentless determination, my iron will and sheer hard work that helped me build up my international enterprise and put India on the world beauty map. Yes, I would like Priyanka Chopra to play me. AV: What was it like to single-handedly create an international enterprise, and then become a case study for brand creation at the Harvard Business School? SH: I always say that “Beauty” is not merely my career; it is the sole purpose of my existence. My faith in my own abilities gave me the courage to reject existing salon treatments and devise my own. I adopted a breakthrough concept of “Natural Care & Cure” and also started formulating my own ayurvedic products. I adopted unique business strategies and followed customized beauty care. My products were prescriptive and available only at my salon and grew based on client feedback. Even at a time when commercial advertising was the way to go, I rejected it and instead relied on “word of mouth” and the fact that a satisfied client was the best advertisement. When he heard that we have never advertised, Professor L.R. Hayes of Harvard told me, “You violate every norm we teach!” I established customized beauty care with a personalised style, and I relied on the word of mouth system for promotions. We are not a faceless brand name; it is an image-based enterprise. Other companies that are merely selling cosmetics may find it beneficial to advertise their products commercially. AV: Do tell us about the range of products you’ve created for cancer patients. SH: Some of the first results of chemotherapy are hair loss and skin problems, like dryness, discolouration, or sensitivity. Ayurvedic ingredients have soothing and healing properties, which we knew would be beneficial, and so we decided to innovate products that would help to alleviate the problems caused by chemotherapy and radiation. Therefore, after R&D in our units, we decided to formulate Chemoline, which is now distributed freely to cancer hospitals. AV: Your brand is known not only for its contribution to beauty but also for its CSR initiatives involving women’s empowerment. What more can we be doing to ensure socio-economic progress for women? SH: I believe that financial independence and self-reliance are an integral part of women’s empowerment. Therefore, my CSR initiatives empower women to be financially independent. We have been providing free beauty training courses to the mute, audio and visually impaired, as well as acid attack survivors and to underprivileged women. In a developing country like India, education of women is the need of the hour. Education helps improve the quality of life for women, specifically in rural and poverty-stricken settings. Great emphasis must be given to educate women so that they can educate their daughters, inculcating values of good health and education. Education also helps in changing mindsets and creates respect for women in the family and society. AV: What did it mean to you to have represented India at the Presidential Summit for Entrepreneurs under President Barack Obama? SH: For me, representing India at the World Summit for Entrepreneurs was not only the greatest honour, but it was also international recognition of Indian Ayurvedic beauty care. I felt that my relentless efforts were recognised. I found that President Obama and I share similar sentiments with respect to women’s empowerment – he said that it creates a beautiful, healthy and educated world. A part of the summit was a sit-down breakfast, with Hillary Clinton and Dr Judith Rodin, President of the Rockefeller Foundation where I spoke about my work and my journey and received a standing ovation. AV: You have already achieved much success during the course of your career. What is in store for the future of the company? SH: I never rest on my laurels! I always look for the next frontier to cross, the next mountain to climb. Our future plans include concentrated international branding, strengthening and widening our global chain of franchise ventures and appointing distributors in unprecedented new markets. We plan to take Ayurveda to more countries within the next year – U.K., U.S.A., Canada, U.A.E., Australia, Singapore, Malaysia, New Zealand, Russia, Peru and many more. We have recently introduced new products including the Flower Botanics range, a line of deodorants, dry shampoos, organic shampoos and conditioners. We also plan to open treatment and de-stress centres and spas in hospitals, where patients can relax and rejuvenate.